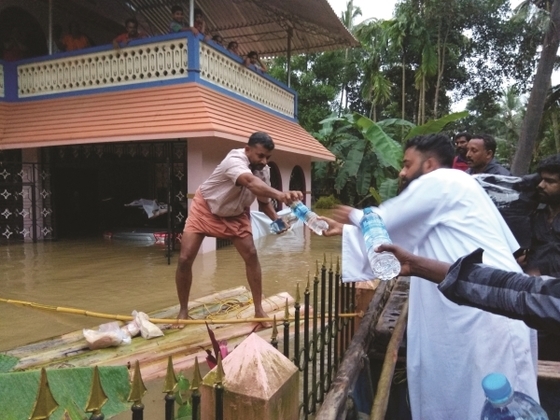 GFA-supported workers provided food and water to those affected by the floods in Kerala, India. The 2018 flooding in Kerala brought sadness and destruction, yet in the wake of this disaster, many bonded together to help those in need. In these trying times the people of Kerala showed great resilience in the face of devastation. Funds from all over the world poured in, and many brothers and sisters in Christ walked the many refugee camps. Bringing food, water, hygiene items and medical supplies, these faithful workers shared help and healing with those affected by the floodwaters. Among those who took refuge in the camps were Sailesh and his family, who attend a church led by a GFA-supported pastor. When the rains came, Sailesh and his family were warned by their neighbor, whose house was already flooded. There was no time to quickly evacuate to higher ground. Fortunately, Sailesh was able to contact a friend who was outside the flood zone. Sometime later, an army rescue team came to pick up the stranded family and take them to a nearby stadium, which was functioning as a relief camp for 300 people. They remained there for five days. 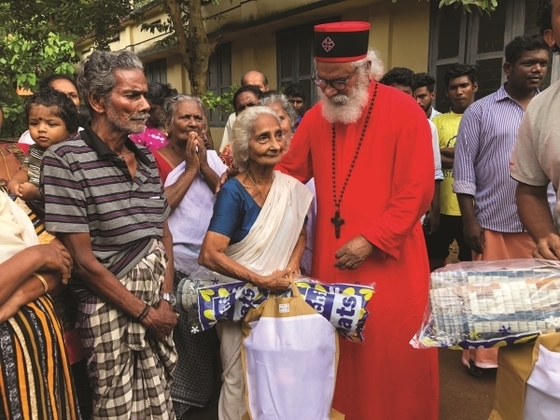 It was at this camp that Dr. K. P. Yohannan, founder of GFA, and a GFA-supported relief team handed out clothing, hygiene items and medical supplies. GFA founder, K.P. Yohannan, participated in a relief distribution event organized by GFA-supported workers. Frontline relief work wasn’t the only thing believers did to help the flood victims. Believers across Asia joined together by participating in fundraisers and prayer meetings on behalf of those in need. One young boy saw fit to go further. Yuvaraj’s ninth birthday was on August 30, and his birthday party would have taken place a few days after the flood. Hearing the plight of these people, the young boy decided not to have a party. Instead, the money he would have spent for his celebration went to those in need. Like Yuvaraj, many people have risen up and answered the call for help, both in Asia and around the world. Because of donations like yours, those affected by the 2018 floods in Kerala have experienced God’s love. Thank you!